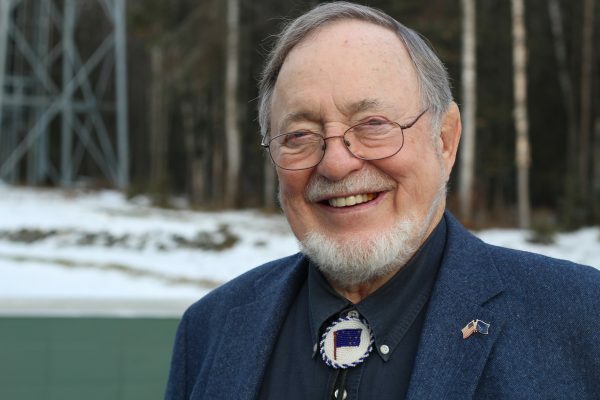 Speaking at a conference in Juneau last week, Alaska Congressman Don Young argued against gun control by suggesting Jews might not have died in the Holocaust if they had been armed. The recording was provided by Dimitri Shein, an Anchorage Democrat who is running for Young’s seat. Shein was in the audience for Young’s speech to the Alaska Municipal League and he asked Young about school safety, which prompted Young to bring up the Holocaust. The argument that gun control allowed the rise of Hitler has circulated among gun-rights advocates for several years. “ –So what is your point: If there had been guns in Germany, there might not have been a Holocaust?” Blitzer asked. A 1938 Nazi law prohibited Jews from owning weapons, but there were numerous instances of armed Jewish resistance during the war. The Anti-Defamation League says it’s ludicrous to claim Germany’s Jews could have stopped the Third Reich with personal firearms when the military might of entire European countries could not. Congressman Young is a long-time board member of the National Rifle Association. He said last week he favors allowing teachers to carry firearms. He points to video games and the breakdown of families as possible causes of school violence.